When it comes time to plan the wedding ceremony, couples often want to include their family, friends, and in some cases, their guests in the ceremony. Weddings are a communal event, and we want the shared experience to remain in the memories of our guests, long after the wedding is over and our loved ones have parted ways. Here’s some ideas to help you include as many friends and family as possible in your big day! The Family and Friends Blessing: The family and friends blessing is a small piece (reading) in which the officiant explains the importance of family and friends. After the reading, the officiant asks the guests whether they will support the couple as they begin this new chapter of their lives. It’s similar to the end of aisle question, but it’s answered in unison, allowing all guests to feel like they’re a significant part of the ceremony. The Ring Warming and Stone Blessing: Ring warming and stone blessings are ceremony components that can be added to involve guests without too much hassle setting them up. Here’s what it looks like. A ring warming is where the wedding rings are passed around, in a small bag or container, and each guest is asked to add their blessing and good wishes to the rings. 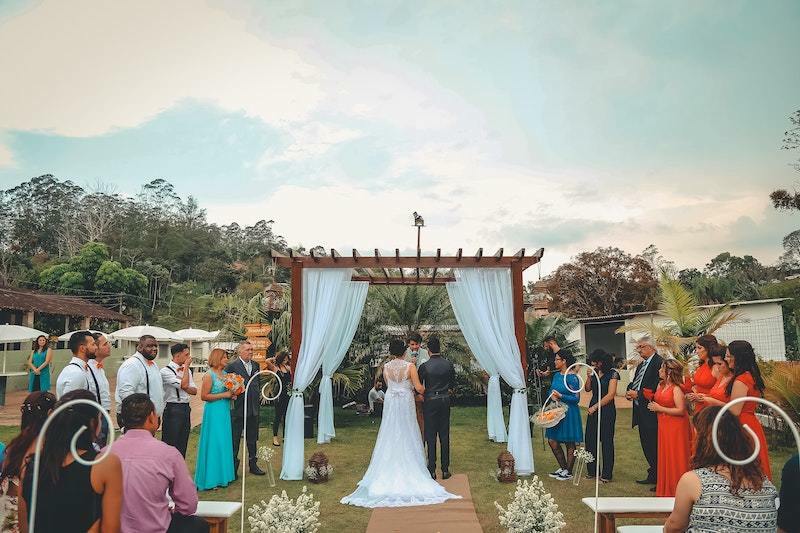 For this ceremony, the officiant explains that since the couple will wear these rings throughout their marriage, the guests can confer their blessings and good wishes upon the rings so that the couple can feel them for the rest of their lives. 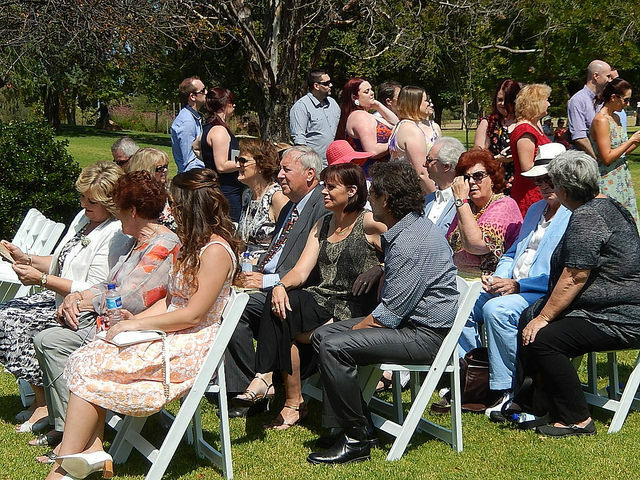 This is both a meaningful and hands-on approach to including loved ones in your ceremony. The stone blessing ceremony follows a similar path, with each guest either bringing a small stone with them -- sometimes from faraway places -- or picking one up from a table at the entrance. At the cue from the officiant, each guest blesses their stone. After the ceremony, everyone adds their stone to a jar where together, they represent the collective well-wishes of the guests. Readings by Friends and Family: If the couple wants to honor specific guests during the wedding ceremony, the officiant can invite them to do a reading during the ceremony. Do your guests have additional talents? No problem! They can even be asked to sing or play an instrument during the procession or recession. Other Ways to Include Guests: There are also ceremony components such as a handfasting, a sand ceremony, or wine blending, which can be added to the wedding ceremony to involve small groups of people. These can be done when the couple wants to specifically include parents, grandparents, kids from a previous marriage, etc. For more details on these ceremony components we encourage you to check out the latest addition of Asked to Officiate, or browse the ceremony inspiration and training section of our website. We have discovered that promoting wedding guests from witnesses to honored participants, even if only in a small way, increases the meaningfulness of the wedding ceremony for everyone and is well worth the effort! And at the end of the day, that is why it’s so important to decide who will officiate your wedding: so that you can begin planning a truly unique and memorable ceremony. Why are Municipal Governments Cancelling Courthouse Weddings? AMM Officiant Feature: From La France to La Big Apple!